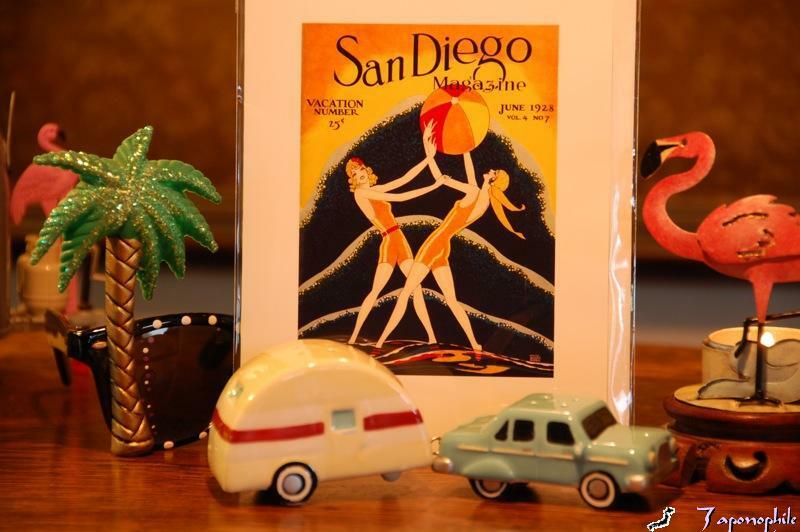 We did not need to get hitched to enjoy San Diego… we live here. So especially now that the temperatures are rising in our nearby mountains and deserts, and the price of just about everything (especially diesel fuel) is already too high and/or rising, it’s a good time to enjoy our moderate coastal temperatures along with the many amenities that multi-cultural and colorful San Diego has to offer. Activities such as visiting local zoos, parks, museums, and attending festivals and backyard barbecues are becoming increasingly popular in the face of hard economic times. These activities are summed up in the relatively new term, staycation. A good local example, the San Diego Zoo is one of largest and most popular (and recommended) zoos in the world. 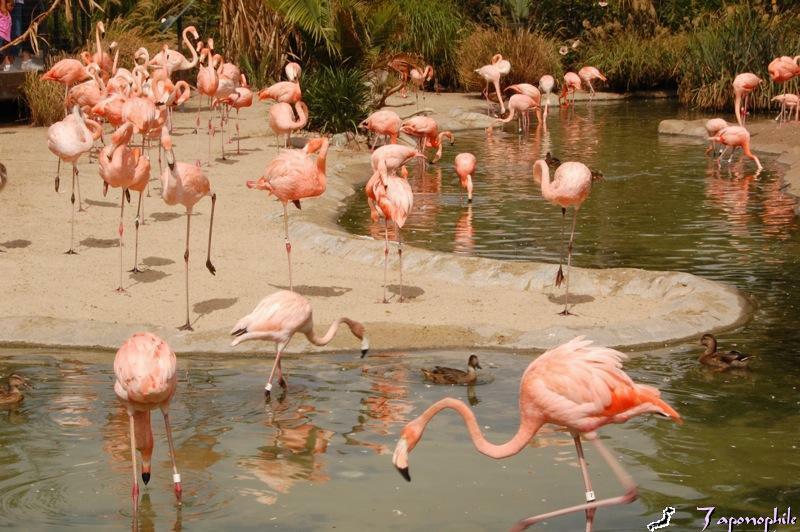 Waiting to great you just inside the front gate are our American Flamingo friends. Pink plastic flamingos (not to be confused with Pink Flamingos, the movie) are retro pop icons being increasingly adopted by Airstreamers and much discussed and analyzed on the Airstream Knowledge Sharing Forums, especially in the threads, “All Things Flamingo” and “Why the flamingo?“. 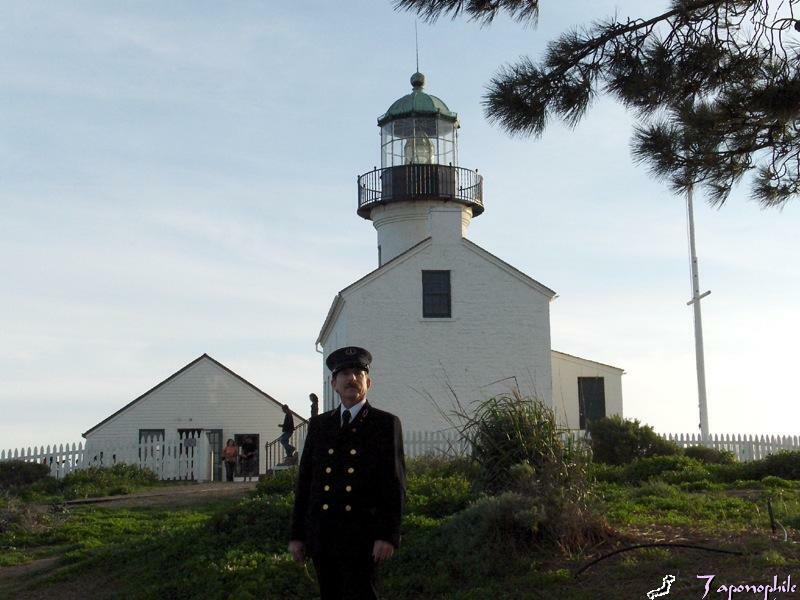 One of the best places in San Diego to take in the wonderful, panoramic view of the San Diego city skyline, harbor, ocean, mountains, Coronado Islands, and Mexico to the south is Cabrillo National Monument, location of the historic Old Pt. 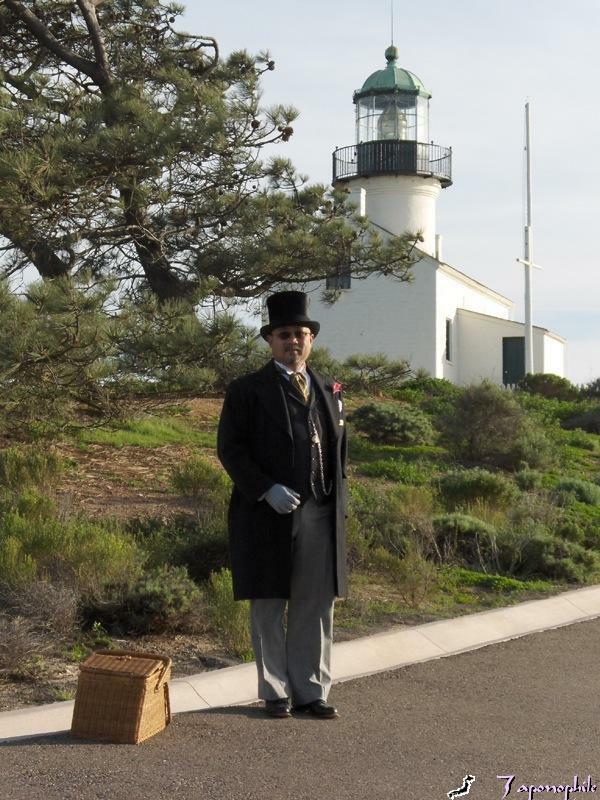 Loma Lighthouse, where docents meet and greet visitors from all over the world. 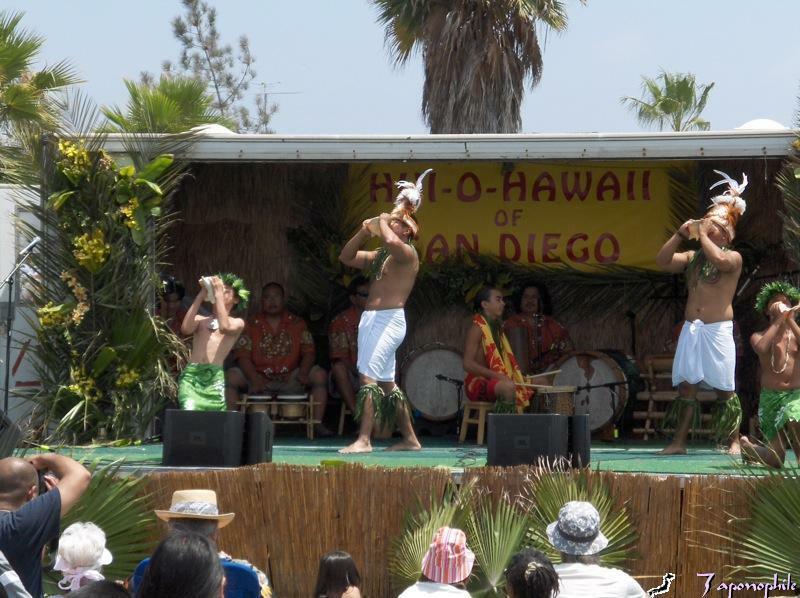 Living in San Diego is like being on vacation year round and there are always fairs and festivals occurring now or just around the corner. 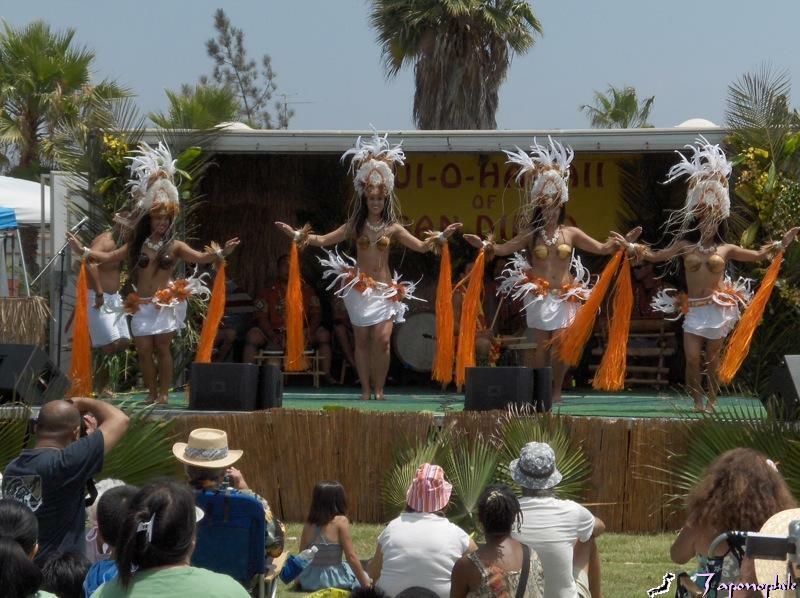 For example, Tiki lovers from around the world will descend upon an oasis (the Crowne Plaza), August 14 – 17, and take a “Voodoo Vacation on Zombie Island“, complete with an uke jam Sunday afternoon. Last week Larry and I attended the Na Mea Hana Lima Hawaiian Cultural Fair, where we picked up Michael Preston’s book and CD, “Let’s Kanikapila! Ten Steps To Learn ‘Ukulele The Hawaiian Way“, by Mutual Publishing, and enjoyed the entertainment. 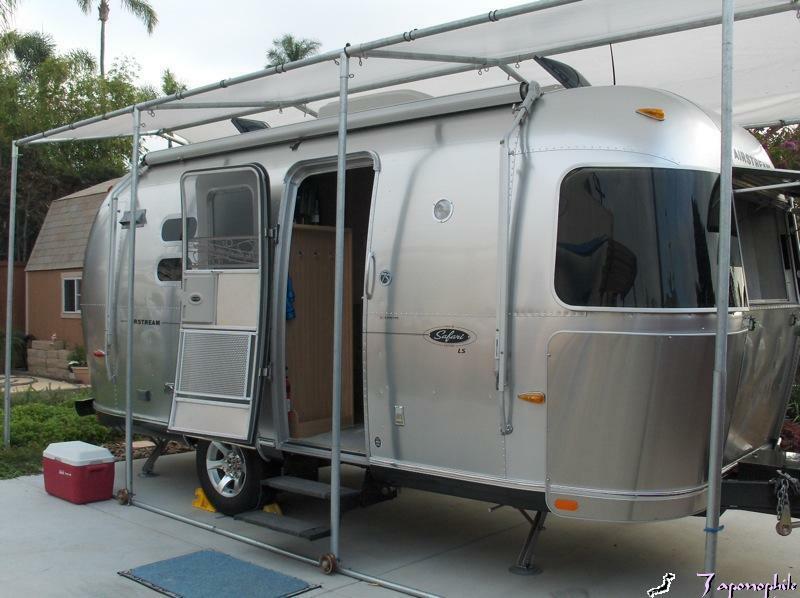 A staycation is also an opportunity to have backyard barbecues and visit local Airstreamers, such as jd (also known as 5cats on airforums.com). 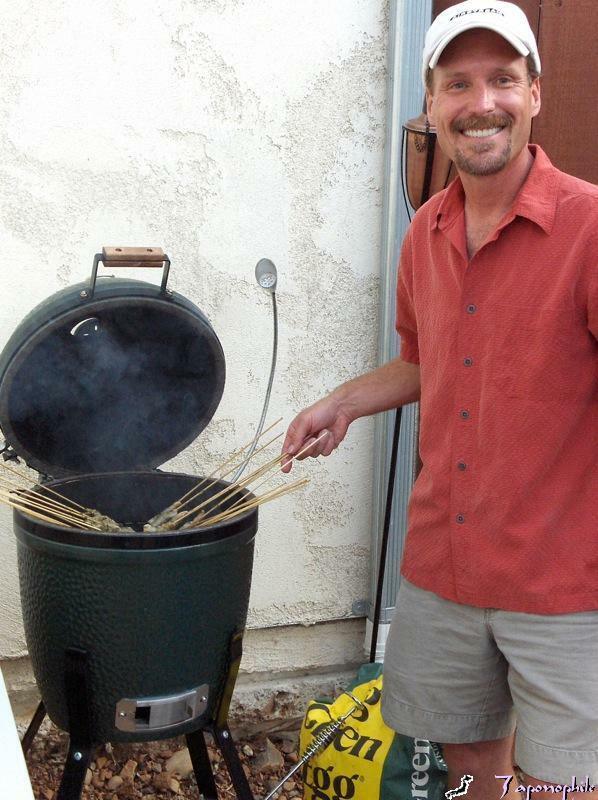 He is seen here barbecuing shrimp marinated in a pesto sauce (very delicious). His shiny, 2007 20’Safari SE is nearby under a tarp canopy that slides on a rail system that he made himself. 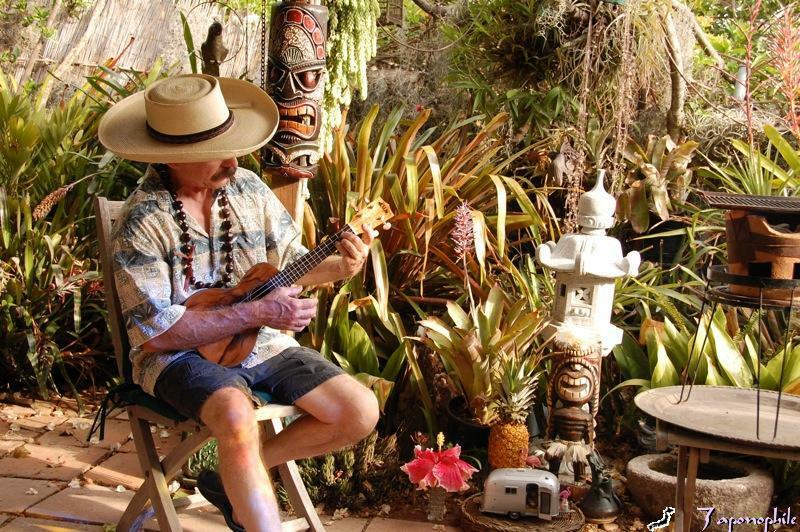 Staycation could also mean simply enjoying one’s own backyard tiki oasis, and playing the ukulele as the hibachi coals heat up… and contemplating the wonderful world… and dreaming about rainbows. Always fun reading your articles, thanks! How wonderful! Often, staycations are the best kind of “get aways” aren’t they? You guys look like you have a ton of fun at home…so there would hardly ever be a time you needed to leave.